Cool. I responded to the recruiting website rep’s email and began the application through their website. I glided through the phone interview, portfolio review, and was informed that the third round would include a small design project so I could show my design thinking. I’m not here to debate the pros and cons of an unpaid design project during an interview process, but I could see the merit in determining how a designer works when you’re trying to select the candidate for a specific client or project. Design an onboarding user flow for a c2c marketplace that introduces users to the benefits of becoming a seller, and then guides them through setting up a bio, creating a banner for their shop, creating a custom avatar, linking social media accounts, uploading product visuals and writing detailed product descriptions. You may use this as a base set of features, but we encourage you to add in functionality that would be useful to both the user and the marketplace business owner. We expect you to deliver what you would feel proud to present to a client, spending no more than 8 hours designing within a 2 week period. Please share your process and typical approach as a designer in the presentation and during the call. We keep this brief intentionally open so that we can see your strengths as a professional designer. Please feel free to interpret it as an opportunity to showcase your talent. If you have any questions on the brief, don’t hesitate to reach out. Since the app and client were fictional, I assumed that they would probably not have answers for questions about branding or strategy — forget any feedback about engineering, implementation, and asset production. Who knows? I didn’t ask! They could have had an entire deck of wireframes and the first test was would I ask for them. Does this service have a name? Since a name was not provided, I decided to give the service a codename. 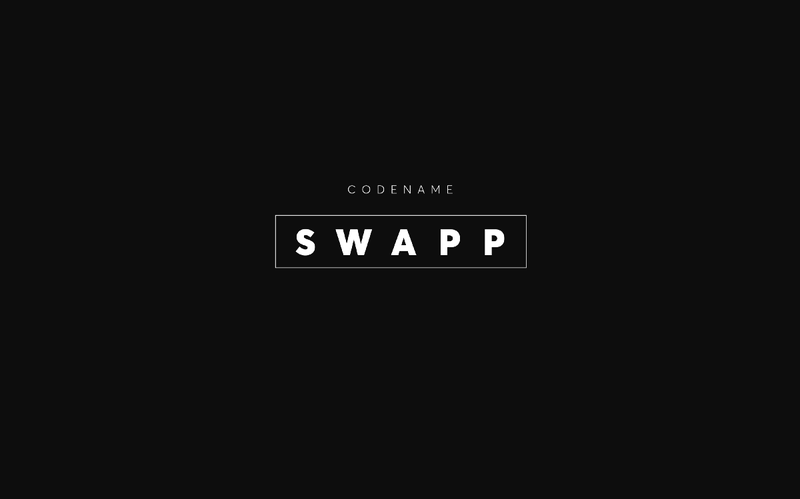 Swap + app? SWAPP. Is this an iOS app? Android? Web? Responsive design was not mentioned in the brief, so I will stick with the mobile-first approach. Who is the user of this service? For the sake of time, I will choose a user like me — a tech savvy millennial who is interested in her community, but is concerned about the safety of her information and self. What is the competitive landscape for this service? Craigslist? Etsy? 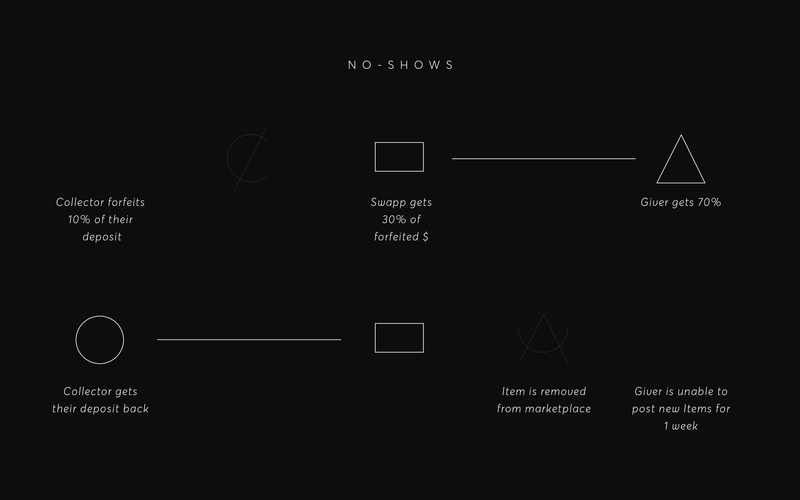 What problems are these users facing with the existing marketplace that this service is solving? I’m going hyperlocal. Craigslist and eBay Classifieds have many challenges. The seller and buyer are strangers. You have to exchange personal information like your address, your phone number and/or email, and figure out the most convenient way to exchange money. NextDoor, Facebook Marketplace and Venmo/Square/Paypal can solve some of these problems, but we still have to coordinate the exchange! What other services does this user like and dislike? This user likes Lyft, TaskRabbit, NextDoor, ClassPass, Postmates, and StitchFix. She likes curation and simplicity. This user distrusts services that have questionable reputations with protecting user information or claim they are powerless when a user is abused through their platform. What are people mostly selling on this service? Users would be selling items that they would normally take to a vintage, thrift, consignment, or pawn store. What are people looking to purchase on this service? Users are looking for items for their homes, businesses, or gifts. 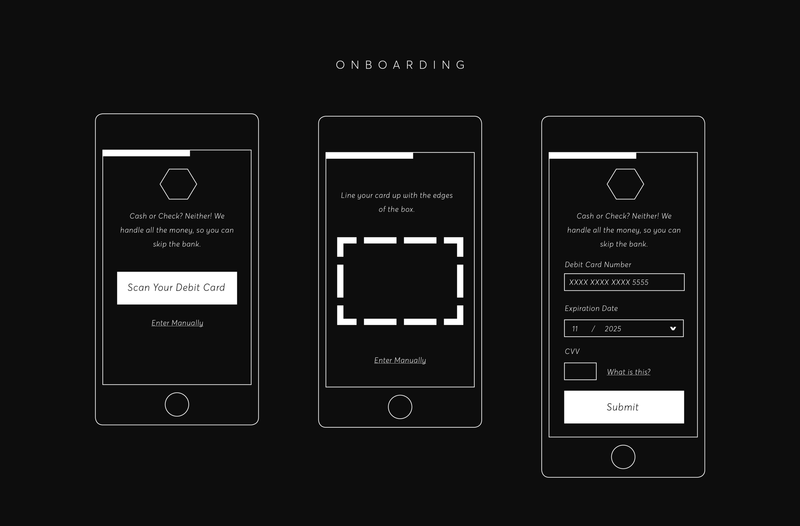 Before I create an onboarding experience, I need to define the experience. 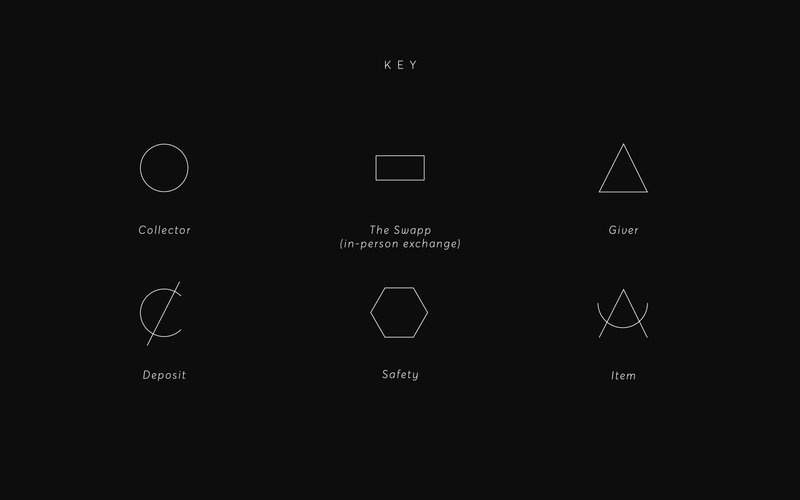 First, I establish the themes we are working with within this app. From here, our seller will be called the “Giver” and they possess the “Item”. Our buyer is the “Collector” and they are interested in the “Item”. The Collector places a Deposit on the Item they wish to buy, thusly reserving it. After the Item is reserved, they begin an in-app conversation with the Giver about where to meet. 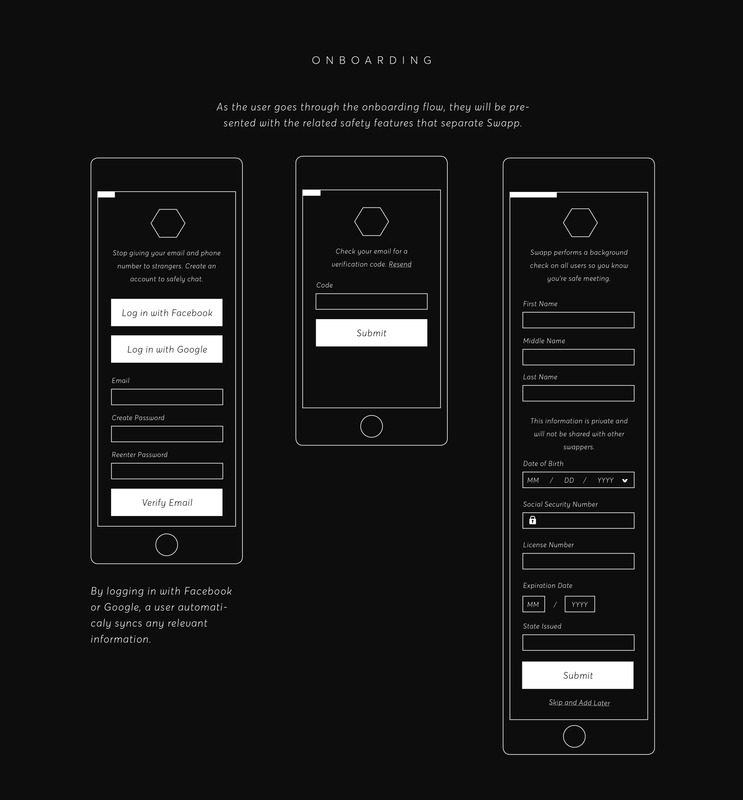 Understanding how an app works is real informative to the whole onboarding flow, ya know? 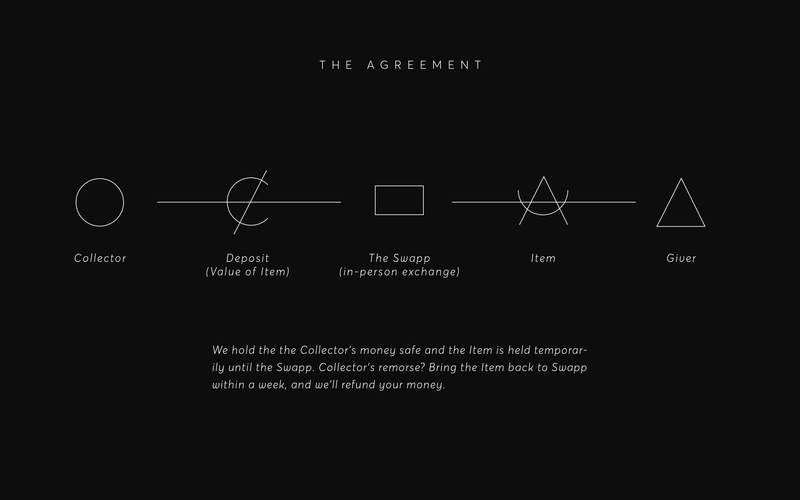 The Deposit ensures that the Collector is serious about purchasing the Item and helps eliminate no-shows. And if that Collector fails to show or backs out, they forfeit 10% of their Deposit. The Giver is given 70% of that forfeited amount for their time. Swapp keeps the remainder because monetization! And if the Giver doesn’t show the goods, the Collector gets their money back. 100%. The Item is removed and the Giver is penalized. 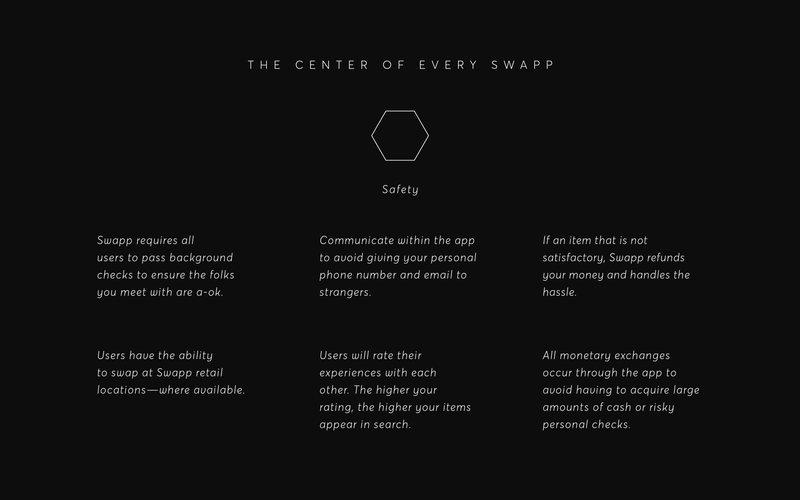 Swapp rises above the competition by respecting the only finite resource in the marketplace: our user’s time. Finally, I want to center Safety. That your information and money would be protected and establishing a standards for the physical and mental well-being of our users. I’m a firm believer is show versus tell. 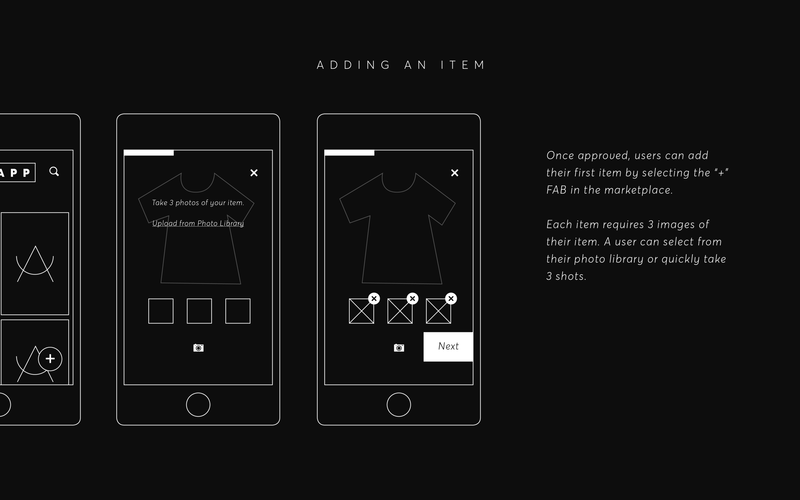 When a user first opens the application, they will be able to view all Items available in the marketplace. If a user selects any Item or option within the interface, they will be prompted to log in or create an account. Instead of a list or carousel of safety benefits, the user is onboarded with clear explanations as we ask them for their personal information as they create their account. 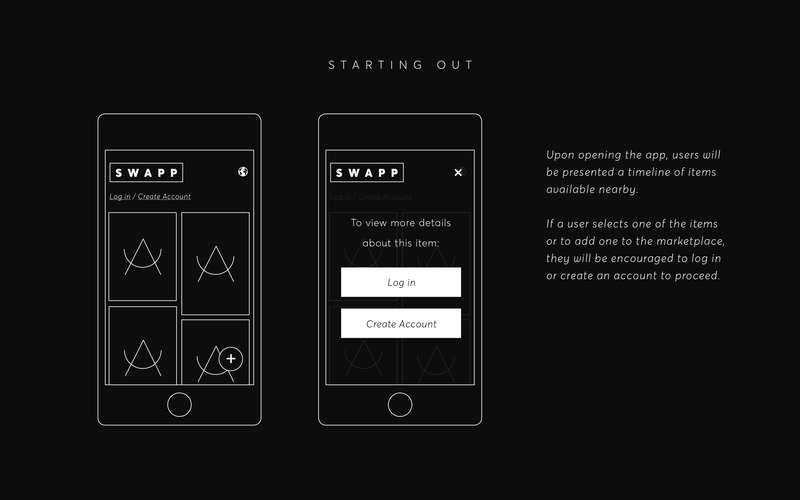 Swapp relies on reserving an Item backed by real money so neither party wastes their time. Don’t miss an Item (or payment) by setting up your method of Depositing right away. Instead of picking an avatar or uploading an out-dated photo, users will take selfies. 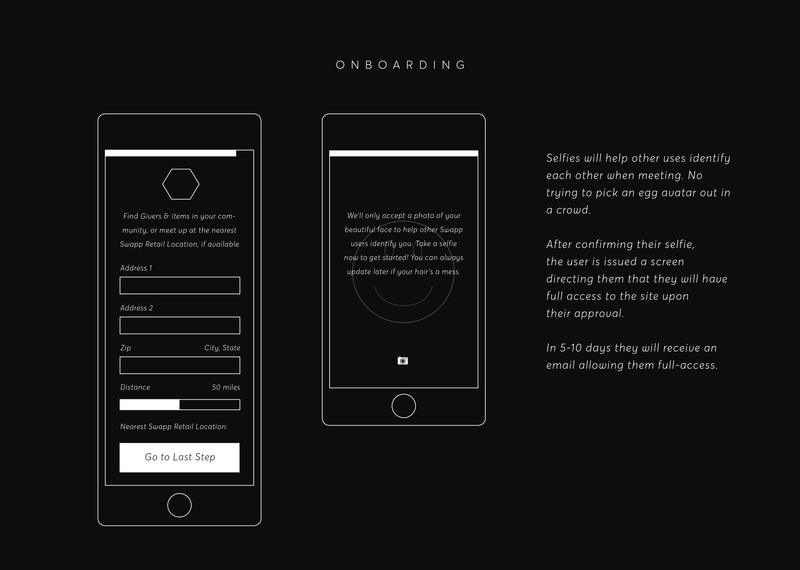 This allows users to better identify one another in-person. I also determined to eliminate the sharing of social media accounts in this initial launch. Would this build trust or would it open opportunities for harassment? I could see arguments for both and if this was my client, I would recommend we take more time conducting user research after launch. Building your Swapp profile with real information. Once a user’s account is approved, they have the option of uploading an Item to the marketplace. To help prevent fraud, we would encourage users to take photos within the app to prove you have the item in your possession. And of course, AI would identify the item and suggest key words to improve the user’s Item being found through search. 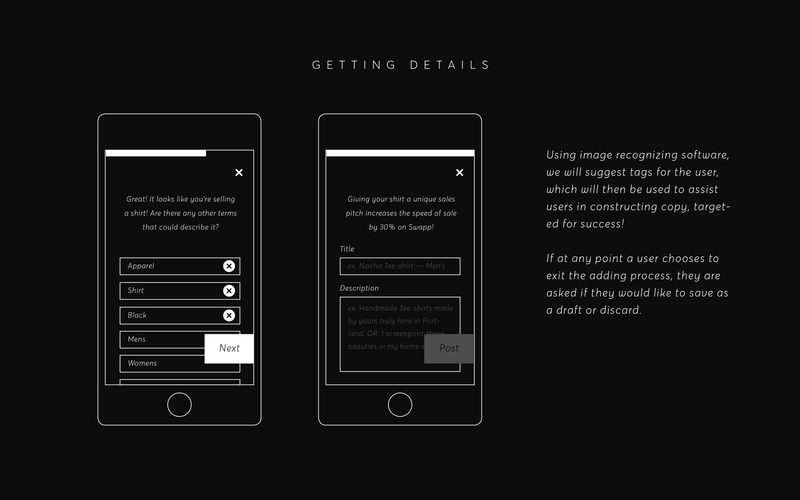 Users are informed of why and how information will be used or helpful for them throughout the app. Creating a description and adding key words to your Item on Swapp. The designer reviewing my presentation acknowledged that I had interesting ideas and my icons were nice; but because I integrated the benefits into the registration instead of creating a more traditional carousel or tutorial, I did not follow directions. The elimination of the social accounts was not appreciated. And I’ll admit it, I forgot to add the store banner. He concluded I did not use my eight hours effectively. 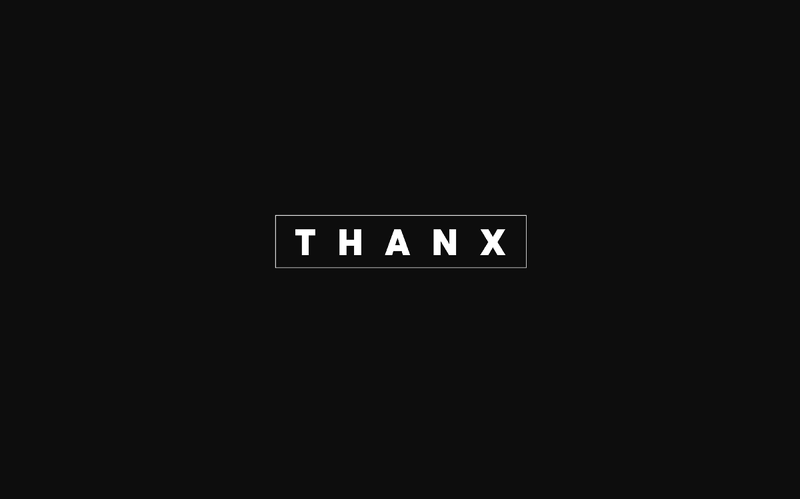 And that’s okay. I did have fun making Swapp and I showed my strengths as a holistic creative — I’m interested in solving the big problem, not just slapping a tool tip on it. Investing time and energy into how the design works within the ecosystem drives better experiences. I learned a lot about myself and the kinds of projects I want to tackle. I want to partner with people to make experiences smarter, safer, and have a ethical foundation.